Ask RP Photonics concerning any details of ultrashort pulse generation or characterization. 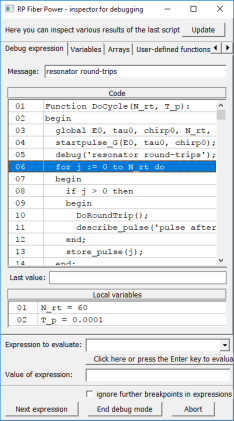 where τ is the full width at half-maximum (FWHM) pulse duration. which means that the time–bandwidth product is ≈ 0.44. Figure 1: Temporal shapes of Gaussian and sech2 pulses. The peak power of a Gaussian pulse is ≈ 0.94 times the pulse energy divided by the FWHM pulse duration. 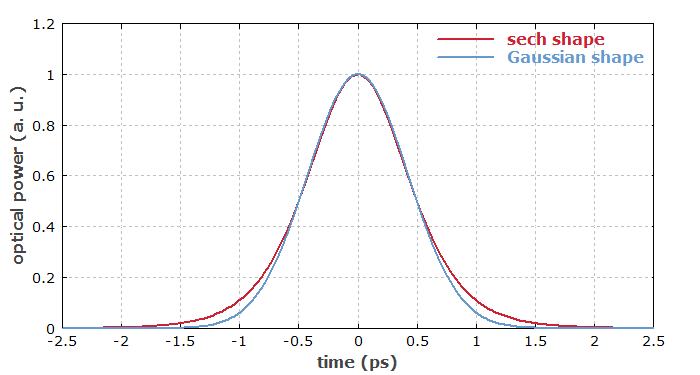 The Gaussian pulse shape is typical for pulses from actively mode-locked lasers; it results e.g. from the Haus master equation in simple cases. However, it is also found in various other situations.